I did not have a party for my 15th birthday. But I will tell you what I did on my 15th birthday because I know that you’re very interested. The day before my birthday I was inducted in my school’s Usher’s Club. my mom had signed 20 years prior when she was in the Usher’s Club. 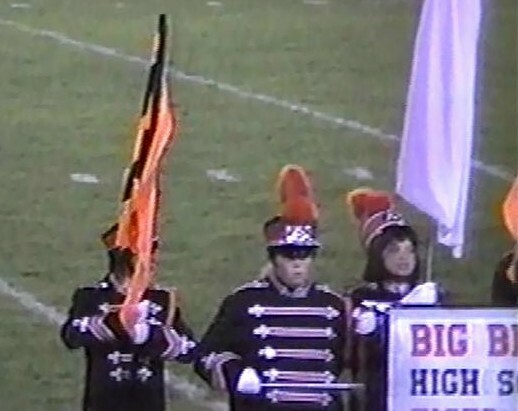 When I turned 15 my birthday was on a Friday, which means that there was a football game that night. performing in our Fiddler on the Roof halftime show. 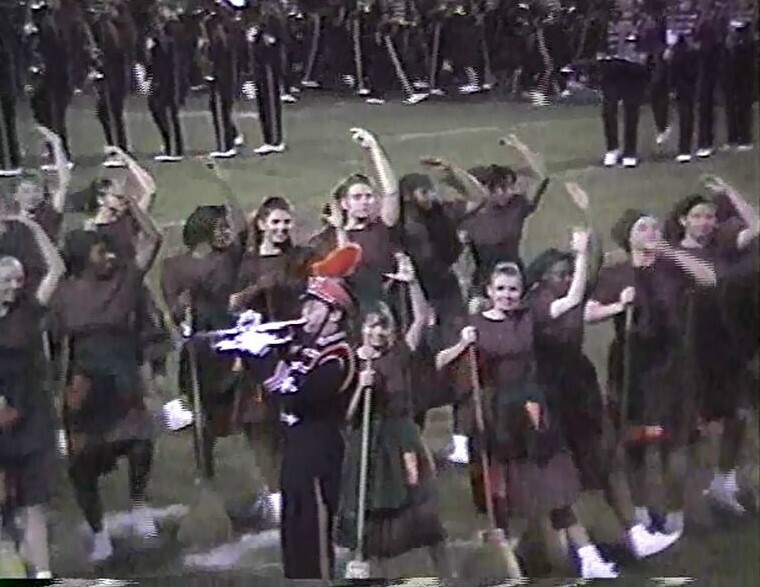 That’s me behind the trumpet player. 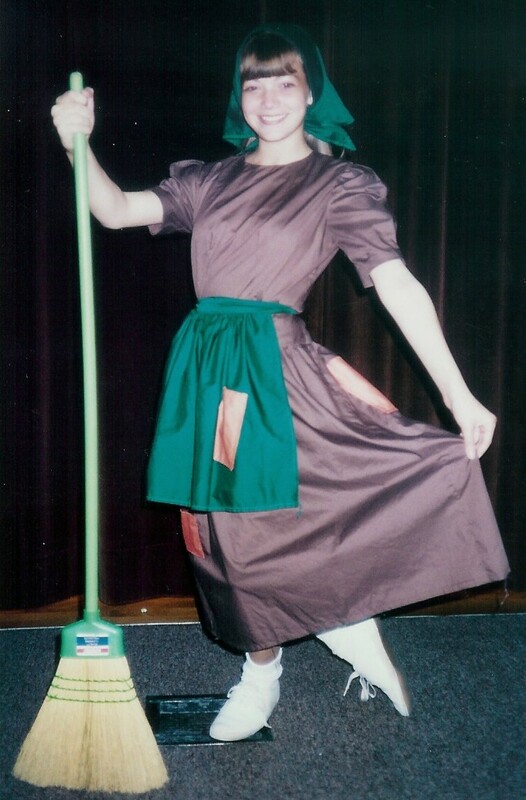 A peasant girl, Cinderella, or an Eat N’ Park waitress? You decide! 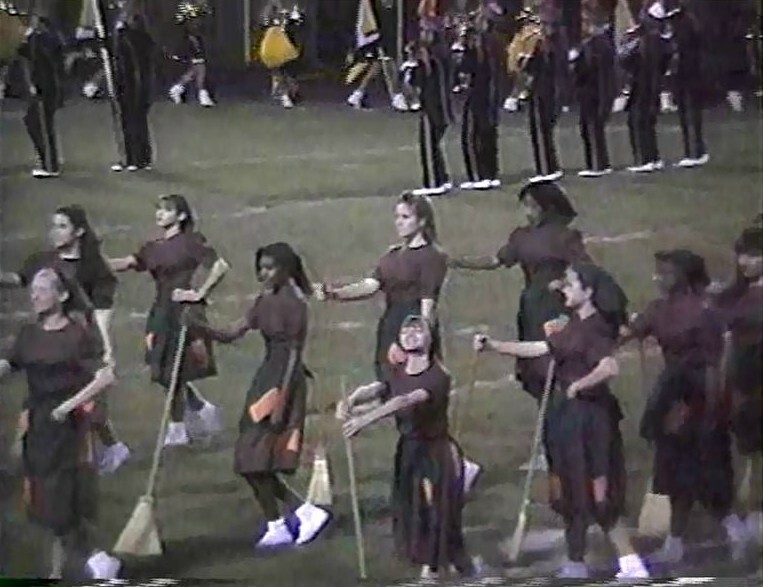 That’s my sister on the left hiding behind a flag, she was a Color Guard. My family was visiting from Florida at the time and it was nice that my grandparents got to see me march. I really enjoyed the Dance Line so I didn’t mind having to march on my birthday. Other than that I don’t remember any details. It’s probably for the best that this is a short post. It’ll give you a chance to rest up for the Sweet 16 Party tomorrow. You can take a look at my 1st-14th Birthdays by following the links on this page. Posted on September 15, 2010, in Birthdays, Parties and tagged Birthday Traditions, Parties, photos. Bookmark the permalink. Leave a comment.